Has anyone tried the Schick Proline AC type blade? Any difference between the p-30 and p-20? My go to has always been the Feather Pro. I've used a couple of the Proline blades but haven't made up my mind. They are very similar to the pro's. Some people feel they are smoother, but I think I need to give one more blade a try before I come to a conclusion. My go to SE blade is the Feather Pro. I've only used a couple of the Proline blades so I'll hold off judgment. So far so good though. Some people are saying they're smoother than feather blades. I'm gonna give another one a go in a week or two after I use a Pro for a week just to compare. You know, sometimes I need that extra bit of help to get the lightbulb to finally go off in my head. This is one of those times; thanks for the easy answer! I was just thinking about these the other night. Yesterday I placed an order to try some. Shame they're not readily available at reasonable prices. eBay seems to be full cases and one of is nice to try them but not too sick up. Is anyone selling them in reasonable amounts at reasonable prices? I've got five individuals on the way. Maybe I'll think they're so awesome that I'll just order a whole case. (10-19-2017, 05:26 PM)bakerbarber Wrote: I was just thinking about these the other night. I get them from Rakuten out of Japan. Google Search "Rakuten Chic Proline" pick small packet shipping. I get them in about 8 days to the US after paying. I received my Prolines (thanks Phil!) and my first impression is that they are very smooth and comfortable. Unsure if they give a better/closer shave than a Feather or Feather Pro but definitely no complaints! Has anyone else had issue with them fitting in various SEs? They are not seeming to fit in the ATT SE1 and for the General, there is play until cinched down. 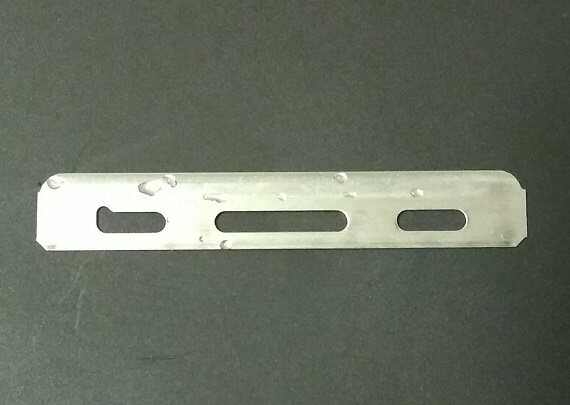 The "bar tabs" on the SE1 are too widely spaced to allow the blade to fully seat. The "two dot tabs" on the General allow the blade to seat but unlike Feather blades that have their circular nip in the middle of their tab openings, the Prolines have their circular nip at the end of the tab opening - causing play and possible misalignment until the head is cinched down. No fitment issues on an first gen Mongoose and an El Jefe. Hmmmmmm, looking around it seems that others are able to use their SE1 with Prolines, maybe mine just needs a touch-up. With the General, the possibility for misalignment is not extreme and if you cinch it down with the blade pointed down, it should not happen. Shouldn't be a deal breaker but something to watch for. If the General had another "dot tab" in the middle or in the inner edge, there would be no possibility for misalignment. Works in my Rx, Cobras, ATT SE and Mongoose. The Proline is the only blade I've use in my ATT SE. The early ATT SE had issues with Feather and Kai blades being hard to remove, so ATT made the tabs narrower. The Proline fits perfectly in my ATT SE, I don't use any other blade! I just bought mine a few months ago. I've used the Proline in the El Jefe, Mr SE, ATT SE, aluminum General, Classic Cobra, and Asylum RX.